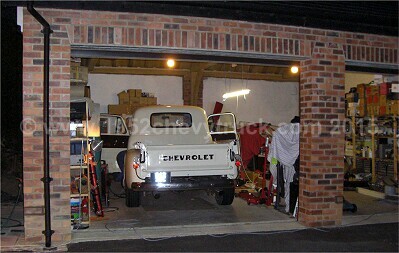 52 Chevy Truck. Cab upgrades. New seats. Fitting seat belts. 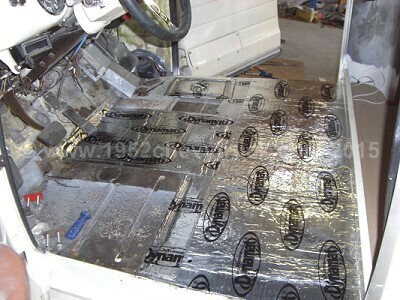 Sound deadening, Hotrod. Jump to sections - Rust Making a flat floor. Soldering metal into the holes. Seat belts. Seats. The aims for 2009 start with a big cab upgrade. Some work had already been done last year. The original gauges, the steering column adjustments and new compact steering wheel. 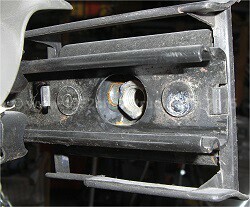 A cleaner dash board with controls removed and holes filled. The modern radio hole made good. 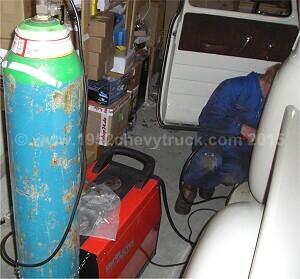 Finally the removal and relocation of the fuel tank top create more space. 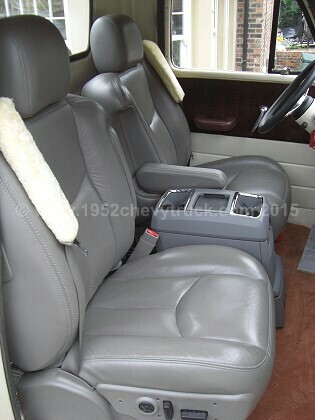 10 way (2005) GMC Yukon Denali leather power seats are to be fitted. when the time was right. Now was the right time while the cab was being modified. 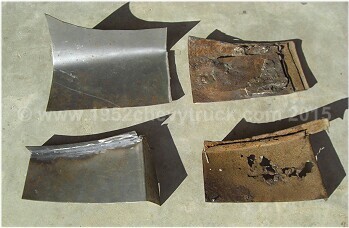 The rusty metal was cut out. New metal was fabricated (a complicated piece) and welded in. It was painted and completed by mid April 09. 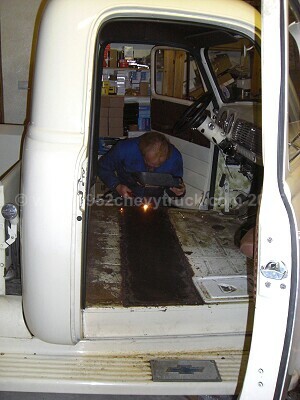 The bench seat was removed and so was the seat frame. Then the frame supporting was cut out. 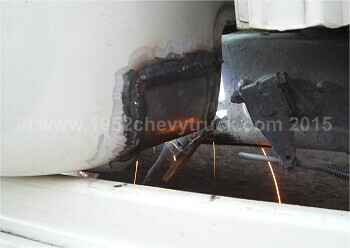 was cut and welded in. The end result was a flat floor. 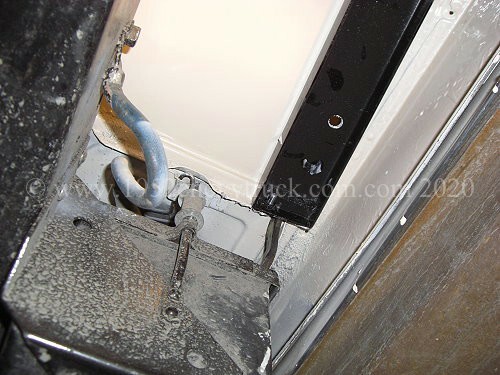 There were a number of holes in the firewall left behind from original items being removed. e.g. holes where old heater pipes had been, holes where the original 3 pedals had been. All of these holes were filed with new metal. This was done by soldering in metal discs. 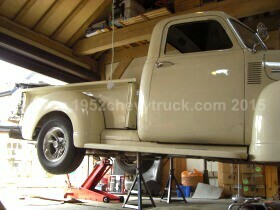 Wherever possible upgrades on the truck have been none destructive and reversible. refitted. Original holes in the firewall have had new metal soldered in. This is easily reversible. securely bolted in and these fixings will also form strong anchorages for the seat's integral seat belts. 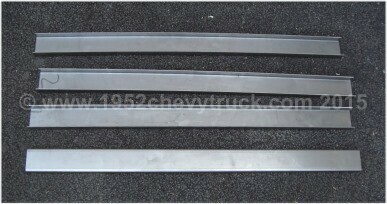 To weld these channels to the floor would be very destructive to the truck and so they will be bolted in. 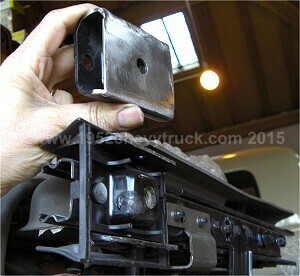 Wherever possible existing bolt holes or strong cab mounting points will be used to fix the channel. 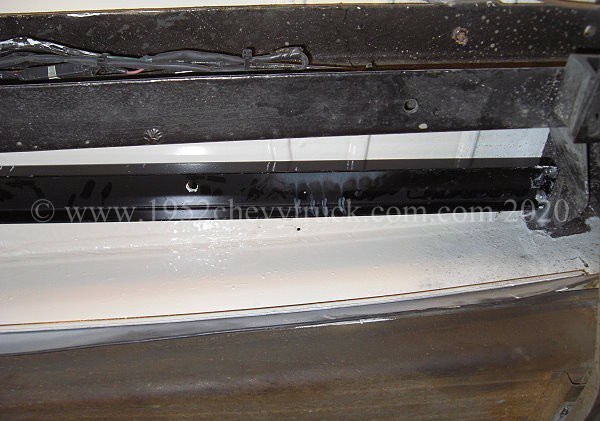 The channel will be bolted through mastic so that water cannot get between the channel and the floor. and the uprights are 25 mm. 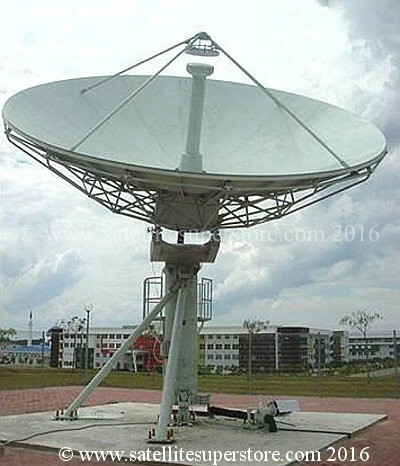 It is made of 2.8 mm thick steel. Manufacturing and fitting the seat brackets. 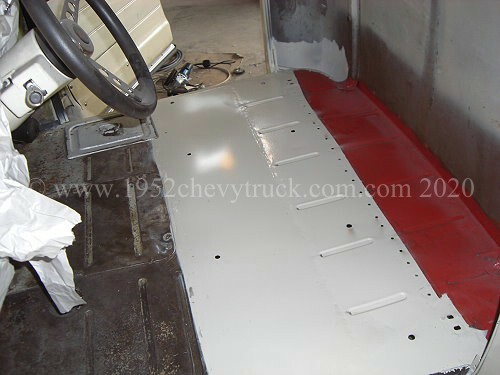 through the floor and the main rear cab mounts both through the cab, the channels and the box section. 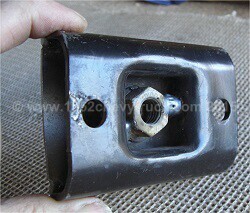 The box section itself started out as a channel and then captive nuts were welded into it. 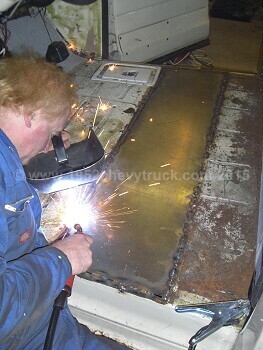 Flat plate was then welded to it to convert it to box which is stronger. deadening. It was then fixed in place using Tiger Bond adhesive and new self-tapping screws. them, the integral seat belts. 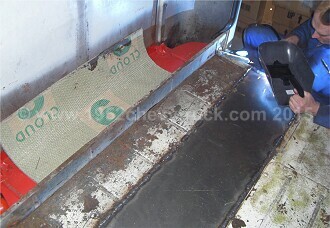 interface would sit on the floor on the inboard feet as well as the outboard feet. so that they could be bolted from below. During the next 7 to 10 days we will be working on the electrics in the seats. Clearly it is necessary to bypass the microprocessor control unit that is inside each seat. Relays will be fitted so that the motors will work from the microswitches on the side of the seat. by the first show on the 23th and 24th of May 2009. After the show the seats will be taken out and the work inside the cab will continue. at 7.30am the next morning before the show. It went down to the wire! inside the cab and under the cab. The seats were then fitted. 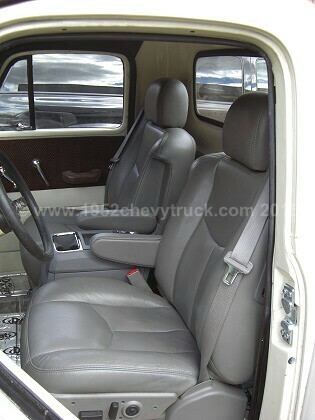 seats in the truck as are fitted by GM in my car. These are 10 way power seats and are very comfortable. A matching centre console was found on ebay. and the seats shown above were covered all to a high standard as shown later on this site. See the upgrading to the interior (July 2016). The picture on the left was taken late in the day when many people had left the show. 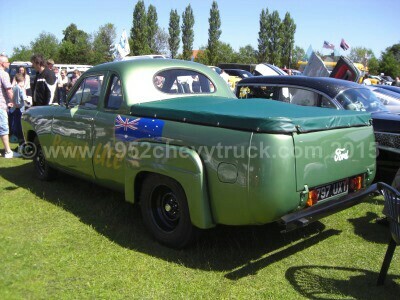 The picture on the right was taken mid-day and shows an interesting 1948 Australian Ford truck. 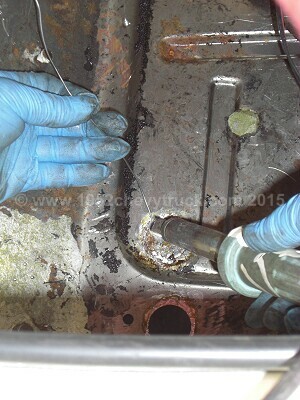 Full details in Part 3 in the Fuel Tank section. March 2017 for some additional modifications to be done to the filler tube. See upgrading of the fuel tank (March 2017). 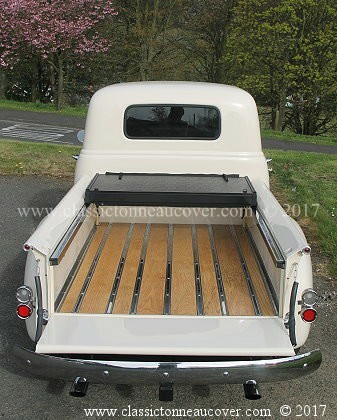 •	A hard tonneau cover. Completely rigid, solid and strong. Folding. •	Zero impact. 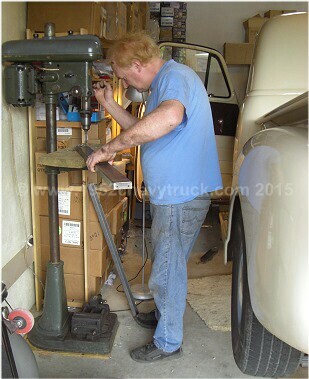 It can be fitted without drilling any holes in the truck. All paint work protected. •	Does not detract from the appearance of the truck. 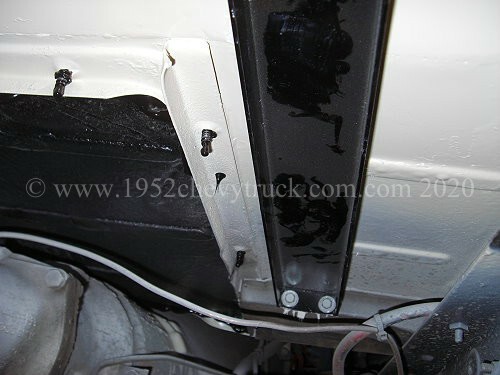 Enhances the appearance of the truck. 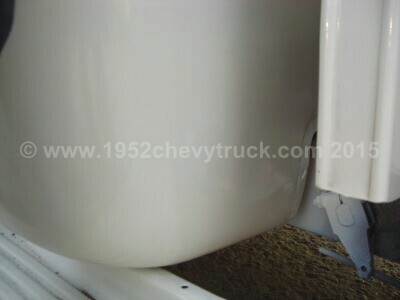 •	With the cover removed and just the hardware kit showing it still looks "show quality". 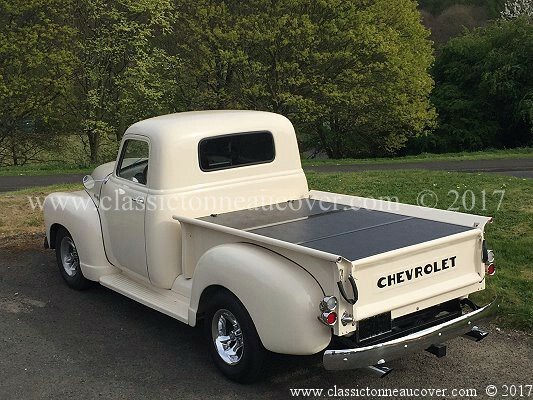 •	When the cover is fitted but open it still looks excellent and does not detract in any way from the appearance of the truck. •	The cover can be removed in under five minutes. •	All materials and finishes are of the highest quality. 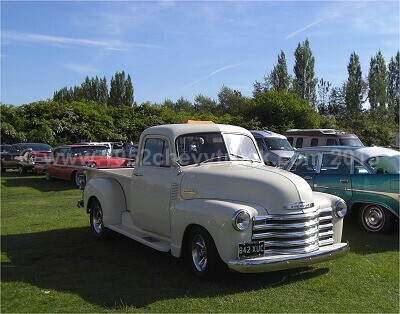 •	There is a choice of hardware support finishes to suit painted or patina trucks. 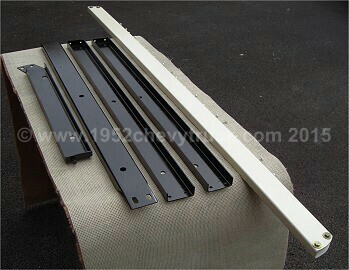 •	A water drainage system is included to prevent water from leaking into the bed. •	Better than original factory quality. Just look at the pictures above. 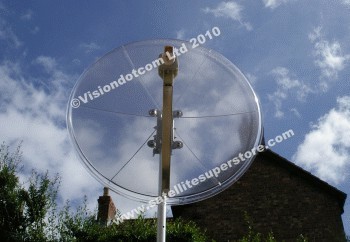 •	The model shown is supported by a mirror polished stainless steel installation kit. 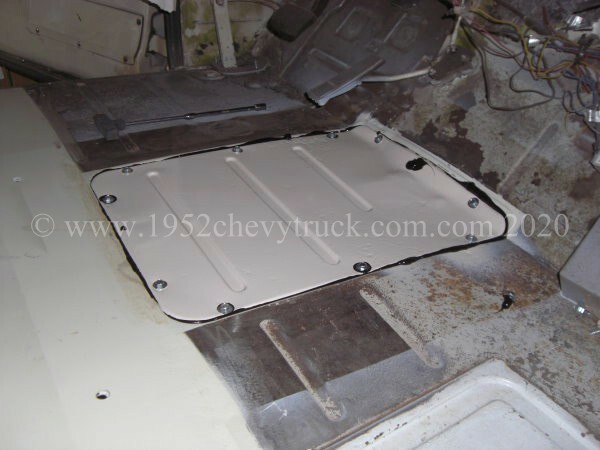 •	This tonneau cover is for the - 1947, 1948, 1949, 1950, 1951, 1952, 1953 Chevy truck. 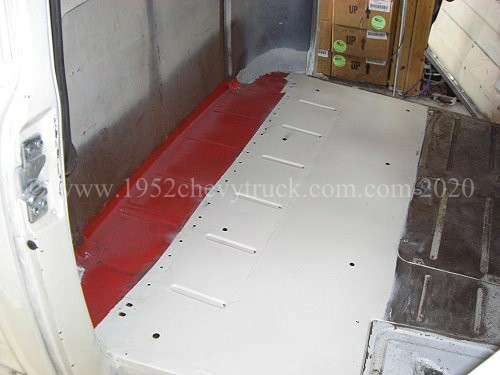 Advanced design stepside 3100.